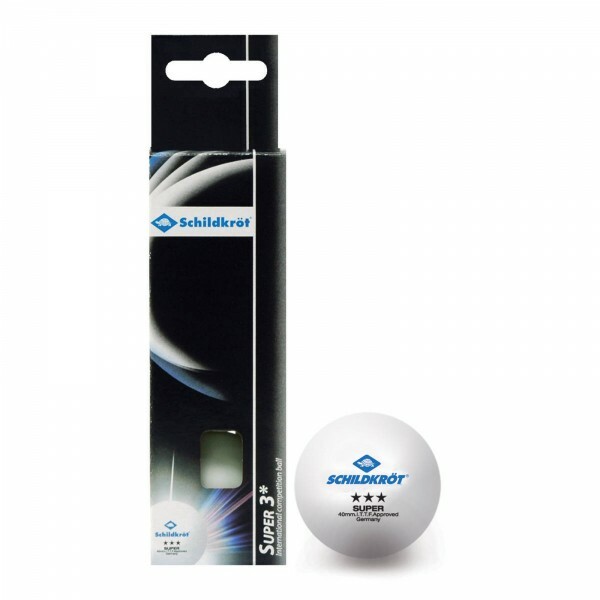 The Donic-Schildkröt TT ball 3*** Super ITTF, pack of 3 white is a very high-quality ball and is played at many international tournaments. The ball even surpasses the official ITTF norm. The Donic-Schildkröt TT ball 3*** Super ITTF, pack of 3 white is ideal for ambitious leisure players as well as professional tournaments. The ball has excellent flight characteristics and is very sturdy. It is available in a box of 3 in white. Gute Bälle, hoffe mal Sie halten länger als die anderen.